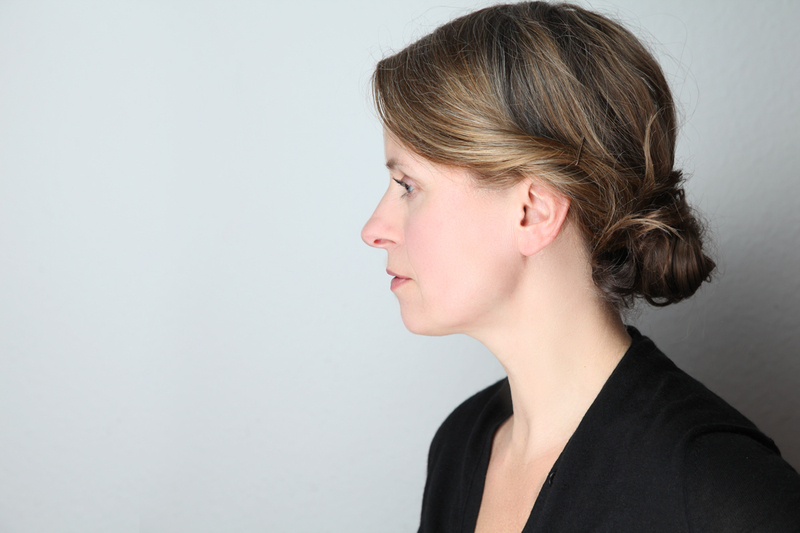 Well us half-Swiss, half-Germans as well. While an aperitivo might be a synonym for the italian style of life for many, for others it’s a „cheap“ way to fill their stomach. I love it because I like to eat much earlier than it is usual in Italy. What is an aperitivo? Before we get scientific about it here is the simple explanation, it’s a meal between Lunch and Dinner, combined with a bitter drink. While there is tea time in the UK, Tapas in Spain and happy hour everywhere else, aperitivo is not the same, but the same. Wikipedia puts it shameless together with apéritif and digestif in general. So there are really two main ingredients for a successful Aperitivo: A bitter drink and some Snacks. The classic Italian aperitivo drinks is a drink mixed with Aperol or Campari liquors. Very popular is Aperol Sprizz or Albitero although other alcoholic drinks or cocktails are common as well. Main snacks served are often chips, nuts, and small sandwiches. Most bars and restaurants offering additional different types of pasta, cheese, grilled vegetables and a variety of salads. 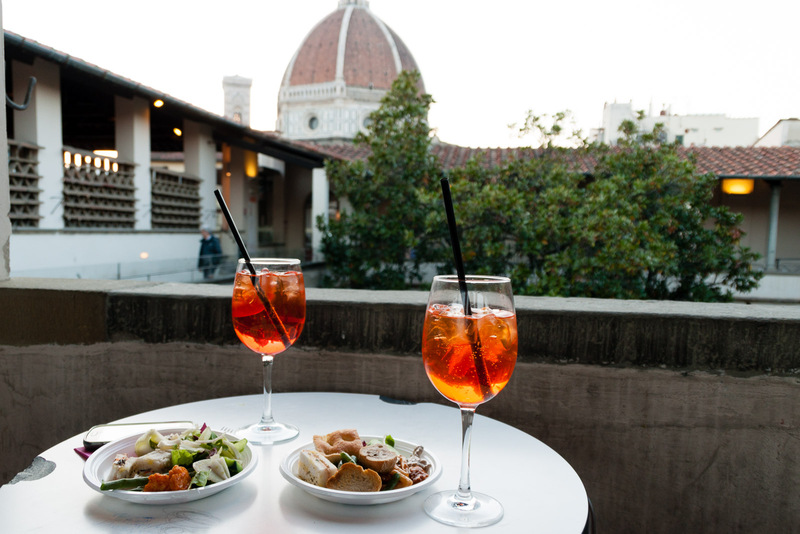 An aperitivo is not meant to replace your dinner, but to have some food with a drink after work in the evening sun. 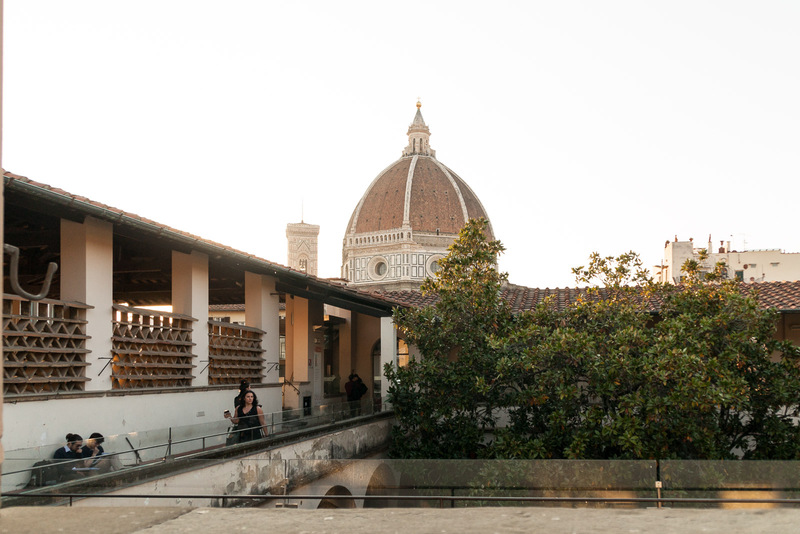 Biblioteca delle Oblate was my favourite place in Florence for Aperitivo, mainly because of the amazing view and the very relaxed atmosphere. The evening we visited we were lucky that an event took place with a very good jazz duo. 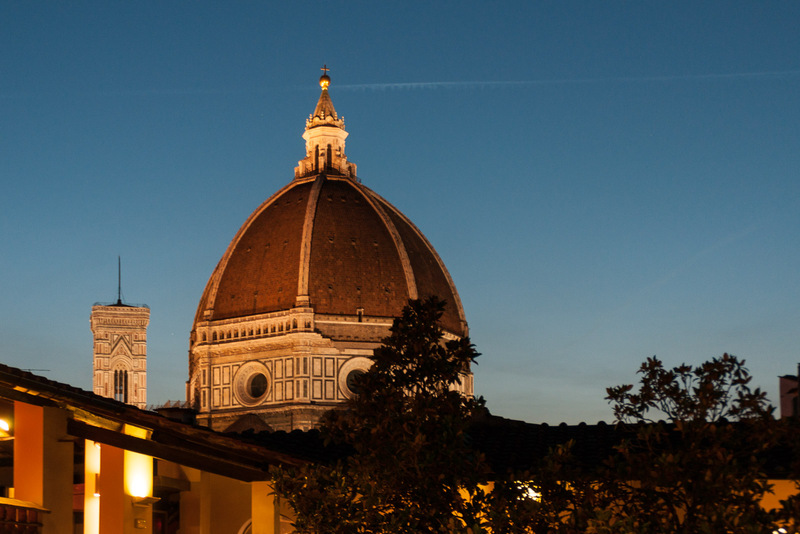 While we enjoyed the change from golden to blue hour on the roof of the old library lovely and relaxed trumpet music accompanied our aperitivo.